My stepdad loves moose, so I knew this image Sparkle had sent me would be perfect for a birthday card for him. I was even more excited when I came across the saying in the "Guy Thing" paper pack. My step-dad is very possessive of his remote when he's in his chair. Too perfect. He got a big kick out of the card. Plus, it felt good to actually make a card again. Hopefully, I'll start being able to balance my time better soon. It just seems like there aren't enough hours in the day right now!! Great card!!! He's going to love it. love the card and what a perfect sentiment, so funny! Isn't Riley adorable? I don't have any images of him...but he always makes me smile when I see cards made with his image. I bet your Dad will love this! 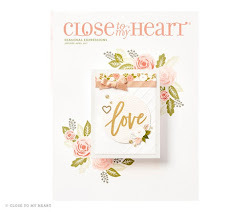 Fun card - love that image and that paper is just perfect, with the words and all - TFS! This is a super cute card! Great job! LOL...what a CUTE and funny card! Love the little moose and sentiment.